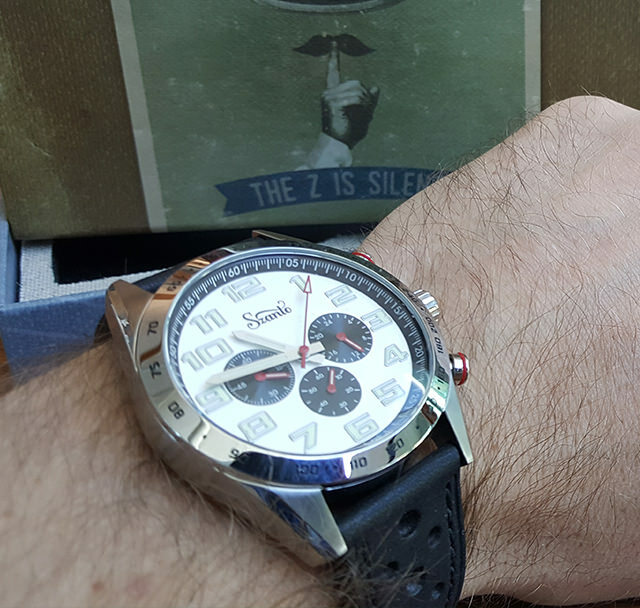 READERS EXCLUSIVE: sign up today and use promo code WATCHMESHIP2 to get your watch shipped FOR free! This monthly men’s box club is so popular right now, but I had to find out if it’s truly legit. Imagine if you got a box delivered to your house every month... and inside was a brand new, stylish, luxury watch from an in-demand brand... picked out just for you - to keep - not rent. Seems too good to be true, right? Well, that’s what Watch Gang, named the Best Box Club for Men in 2018, claims to do for guys like us. In fact, you may have seen how popular they’ve gotten, with features in Forbes, The Today Show, as well as thousands of guys talking about them on Facebook and Instagram. 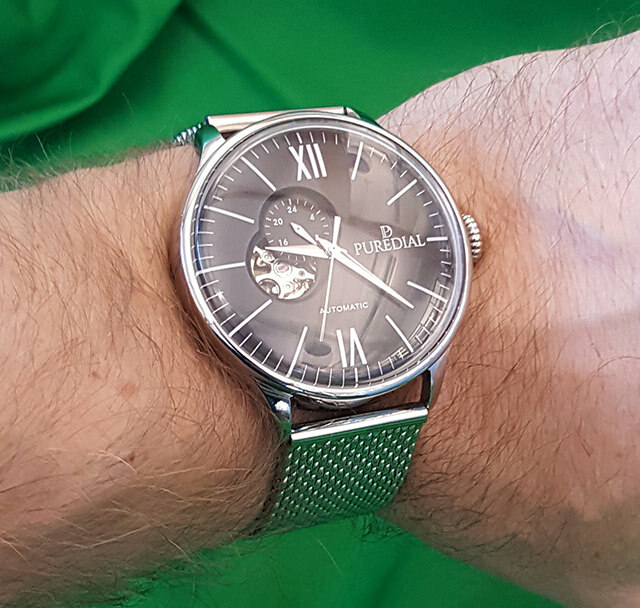 This monthly watch club has figured out a way to give guys what they want … top line wrist watches at a low, affordable price and the convenience of a no-hassle, no-shop, just-get-it-to-me-fast auto shipping program. After reading about how much guys are talking about Watch Gang, I knew I had to give it a critical look and see exactly what all the hype is about... and if it’s worth it. 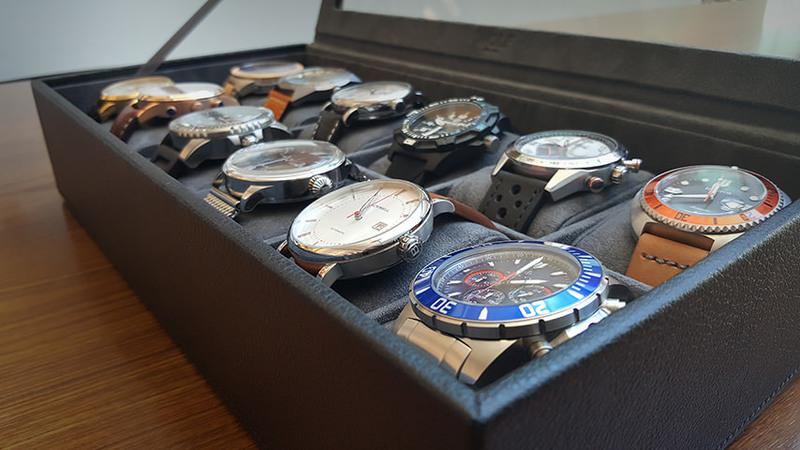 In simple terms, Watch Gang is a club for watch lovers. 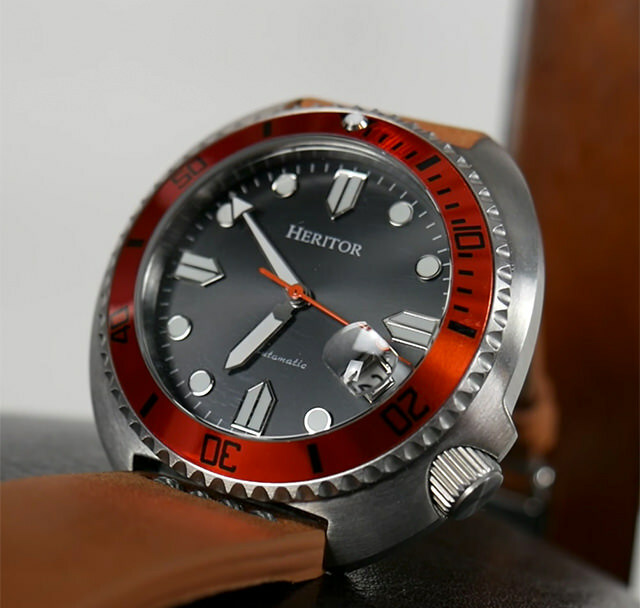 The founder is a watch geek and wanted to put a program together that gave guys like him the opportunity to get their hands (and their wrists) on top of the line watches that are typically only available to those who spend a ton of time deal hunting. 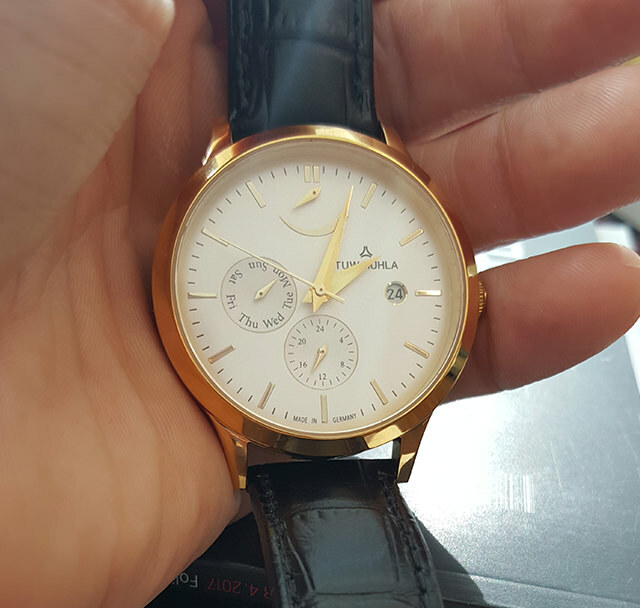 The founder started the company after his dad passed away and left him a watch. "This was the catalyst for me starting Watch Gang. I loved watches but didn't know anything about them. I started collecting them after my dad left me his and I wanted to give guys around the world an opportunity to do the same." - Matthew Gallagher, Founder. First of all, you KEEP the watches! Watch Gang works like a lot of other monthly box clubs. 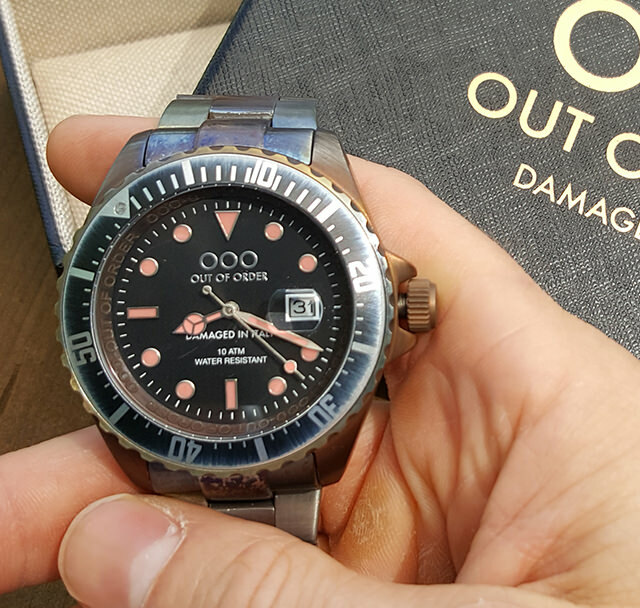 First, you select your preferred monthly membership (depending on your tastes and budget, they are priced at three levels: Original, Black, and Platinum which is 100% automatic movements) then swipe some watches you like or don't like so they get a feel for your style. 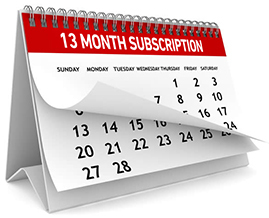 Then, Watch Gang ships you a brand new watch every month (or every quarter - it's up to you). 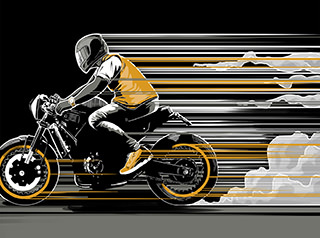 Each shipment is fully insured and guaranteed. 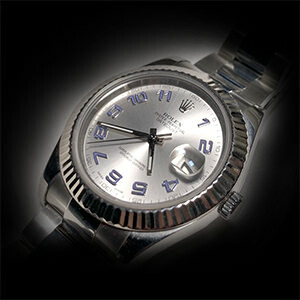 By keeping all the watches you get, they are guaranteeing that you build a valuable collection this is all your own. Soon, you’ll have a collection of watches featuring the variety, style, and high quality you deserve … for every occasion. And since we know that you can tell a lot from a guy by the type of watch he’s sporting, this is an easy way to improve your look and create that valuable first impression you want. Is Watch Gang Really Worth the Hype? 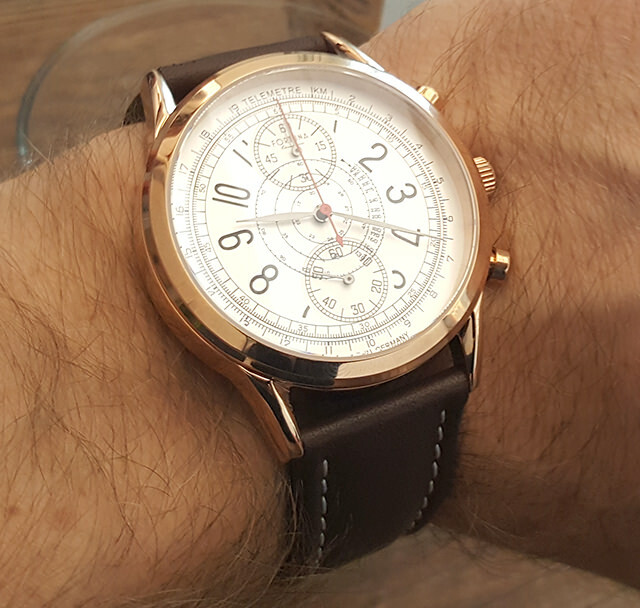 For the past few months, thanks in part to its huge social media following and appearances by the founder on national TV shows... not to mention shout-outs from celebs like Jamie Foxx who was praising Watch Gang during last year’s Oscars... guys (and gals) seriously can’t seem to get enough of it. After scrolling through tons of photos of guys showing off their watches, I knew I had to try it out for myself... and share my real experiences so they can make an informed decision about Watch Gang. So I decided to become a member and committed to a full year of Watch Gang Black. 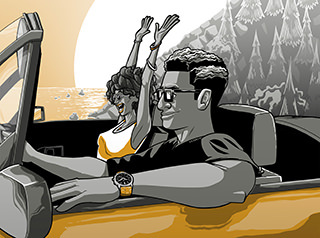 At $99 a month ($91 for me since I signed up for a year), this plan promises to send me watches worth up to $500 each (up to 5 times the value of my membership). Game on! I received my first Watch Gang box in August and I was impressed. An automatic right out of the gate! 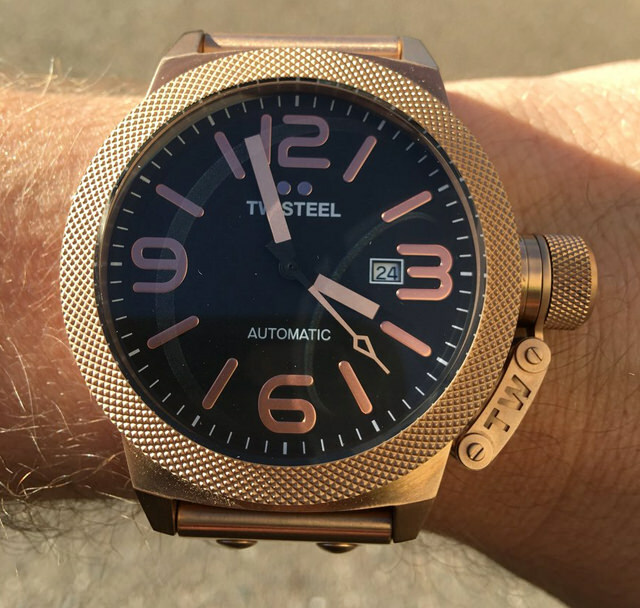 The TW Steel watch is a big, sturdy watch with the weight and feel I was looking for. And at a value of $274, I am already feeling good about this. Even though I really liked my first watch, the next four watches really spoke to me. 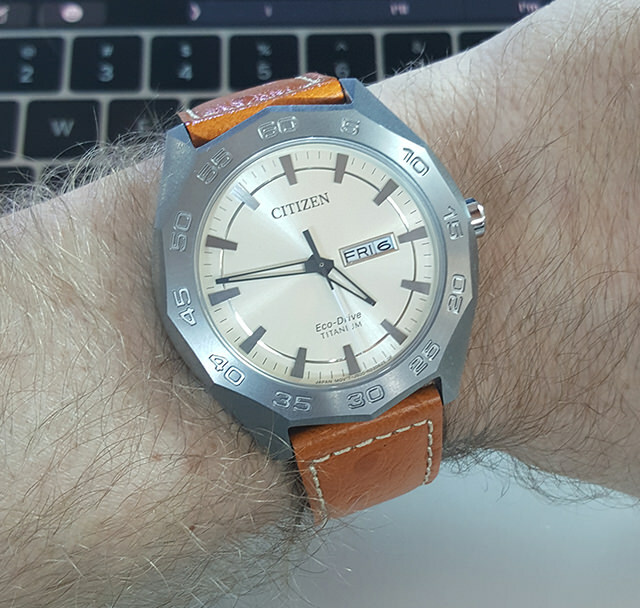 The Citizen watch I got has now become one of my most worn one and I really like the classic design. The ostrich leather strap is so unique and I can wear it at work and out at night. 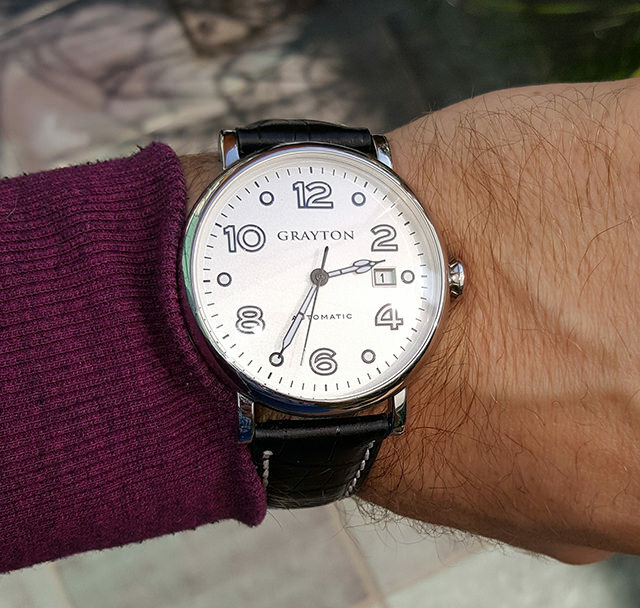 Then came my Grayton (another automatic movement! ), which is a perfect casual watch I like to wear on weekends. And again, strong values on both. 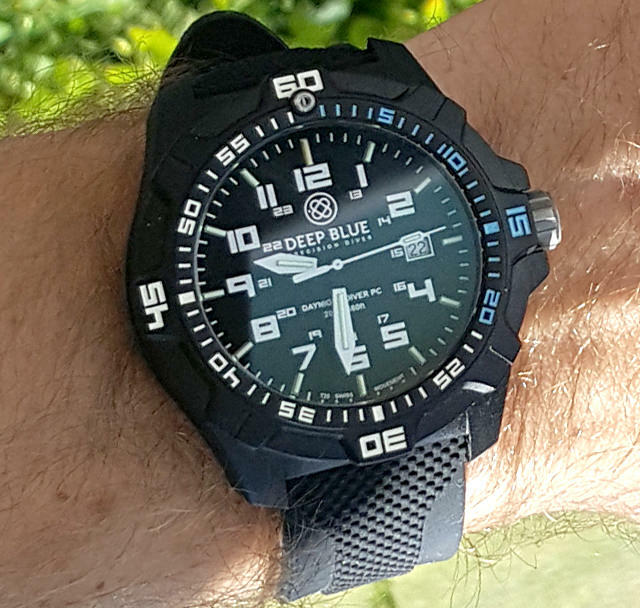 Watch #4 was my Deep Blue Day Night Diver, and it was the first real dive watch that I’ve worn. It didn’t take me long to really like this one. The design is really stylish, but even better I appreciate the substantial look and feel and straight-forward mechanics. 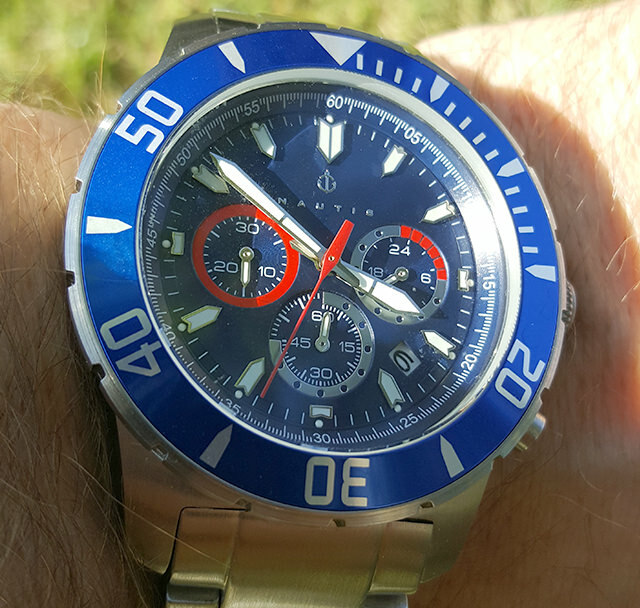 That was followed by my first chronograph, a retro, Szanto that has a great vintage look and feel. This one usually gets a lot of comments at the office. The next two watches Watch Gang sent me were again, automatics. 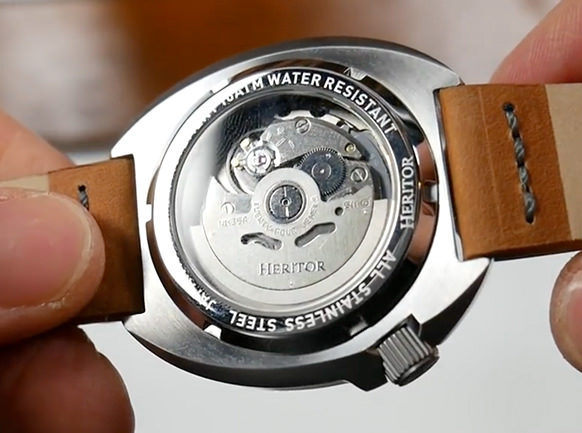 I had always wondered what all the hype around automatic watches was about, but when I first saw the Heritor, I fully understood. It sells for $599! Crazy that I got this amazing piece for only $91. 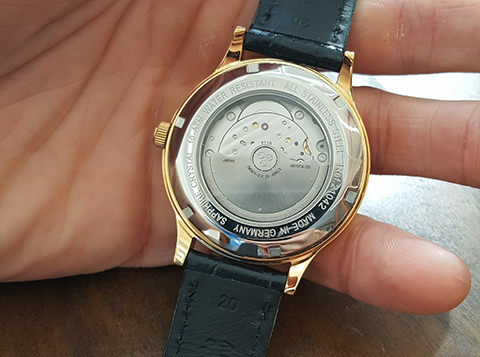 It’s really cool to look through the clear caseback and see the movements of the mechanisms inside. For a tech guy like me, that’s pretty sweet. Then, watch #7 was another automatic. Handmade in Germany, the TUW Ruhla comes in with a strong value - selling for $578 online. I really like the classic and simple design in an automatic and it just adds another option for my wardrobe. Another handmade in Germany watch! As soon as I opened the box and saw it was a Fortuna, I knew I was going to gift this one to my dad. He really loves Swiss and German timepieces, and this one is simply beautiful. I knew he’d appreciate the craftsmanship. Fortuna watches are handmade by a master watchmaker from Omega. This thing screams quality. 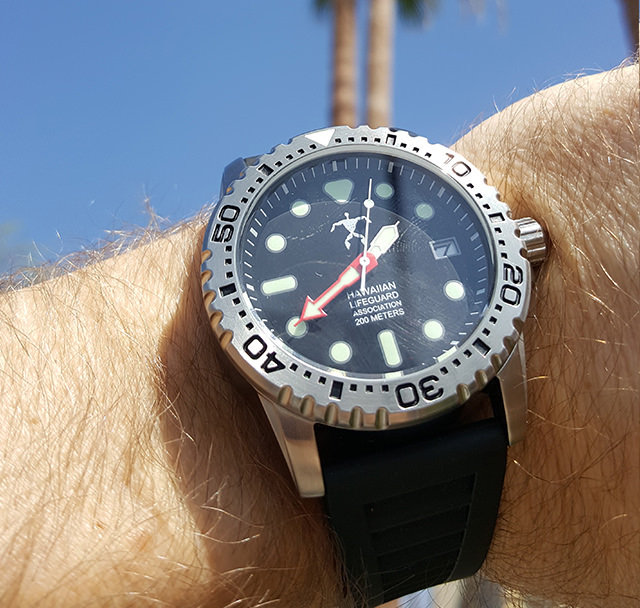 Watch #9, the Hawaiian Lifeguard Association watch, is another great casual watch that I love wearing it on the weekends as my beater watch. I took this one on vacation to Costa Rica with my wife, Marion, since it just fits with that casual beach lifestyle. It is amazingly comfortable and can handle deep water. 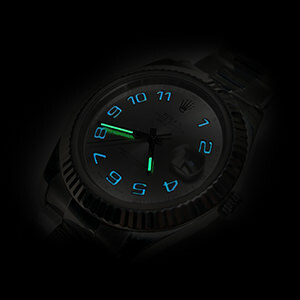 And the watch glows so bright at night! Next was the Puredial, which sports a steampunk-style look... that one took me a while to warm up to. Still, it’s a great watch that definitely catches the eye. I put this one on the shelf for a few weeks but when I decided to finally wear it, I got a compliment the same day. It is really nice and has this crazy domed glass that looks incredible. 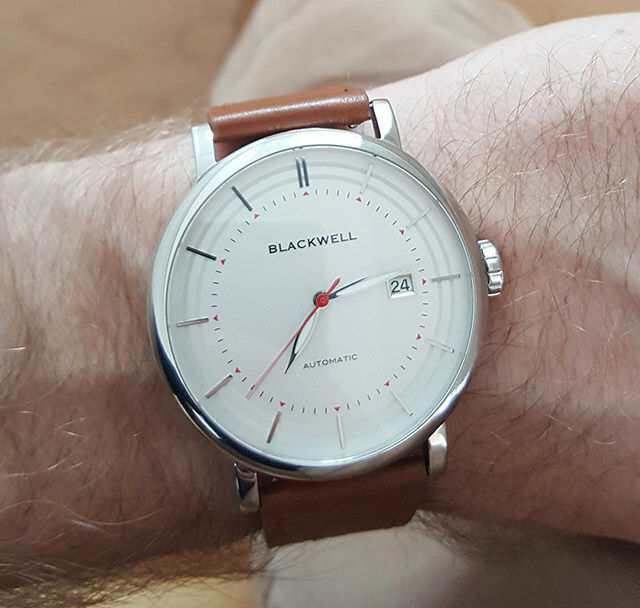 Next I got another automatic, the Blackwell that I now wear when I have business meetings or when I'm traveling for work. It is solid, reliable, and pretty much goes with everything. The Nautis has a unique look that seems to be all the rage right now. I call it my Captain America watch and like how heavy it is. It feels like this thing could stop a bullet. I’d be lying if I said this was the exact watch I ended up getting. I did get a Nautis, but it was the green one - not really my style. So I traded it with someone in Watch Gang’s private trading room for a color scheme I liked more. While I was writing this article and getting it ready for publication, I received my September shipment from Watch Gang and it’s a real bonus. Everyone seems to be trying to get their hands on this Out of Order Watch from Italy, so I feel very fortunate to have my hands on one of these sought-after timepieces. These sell for over $400 and I got mine for $91. Just goes to show what a great deal Watch Gang truly is. Pretty sweet deal, if you ask me. The Out of Order is "damaged in Italy" - that's their trademark. The owner actually distresses the watch before sending it out! It gives it a very unique look and it's great to wear with a pair of jeans and a t-shirt. After 12 months of Watch Gang (well, 13 if you count the most recent awesome surprise of that Casanova), I have to admit that I’m impressed. Not only did I receive high-quality watches every month at way less what I would pay if I bought those watches at retail, but the service Watch Gang provides is top-notch. They are always available to answer any questions and they interact very professionally with their members and truly put the client first. A chance to win a ROLEX & a TAG Heuer every week? So this part’s kinda crazy... the people at Watch Gang give away a Rolex and TAG to a member every week (and now a Seiko every Saturday). Members are automatically entered for the chance to win a weekly drawing. They do a live video 3 times a week on Facebook and Instagram so you can actually watch live and see if you win. It's like a gameshow! I haven’t won yet! Wish me luck (or rather, good luck to you!) Watch Gang truly is the gift that keeps on giving. I love this company. 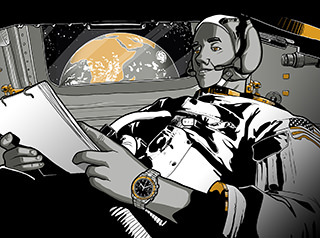 IMPORTANT: You must sign up today and use promo code WATCHMESHIP2 to get your watch shipped free! Sign up with us and get your first watch shipped for free! Just use the promo code WATCHMESHIP2 on the checkout page and it will make shipping absolutely free!